Hockenheim is a well-known German town due to its motor racing circuit. However, the town itself it is worth a visit. 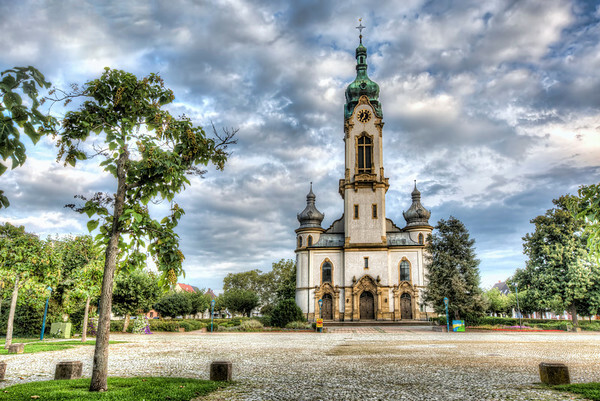 This photo captures one of its buildings—the Protestant town church. The beautiful neo-baroque building was constructed in 1906 by the architect Hermann Behaghel.